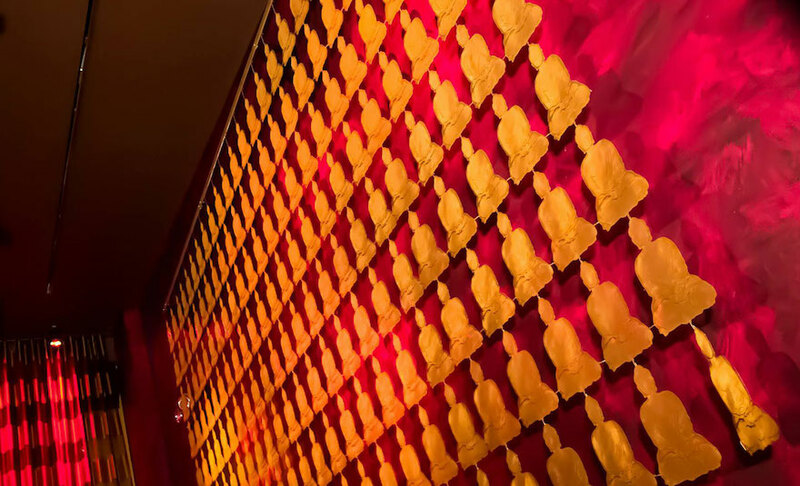 Buddha-Bar, Knightsbridge, London, fabulously conceived by architects Tibbats and Abel. 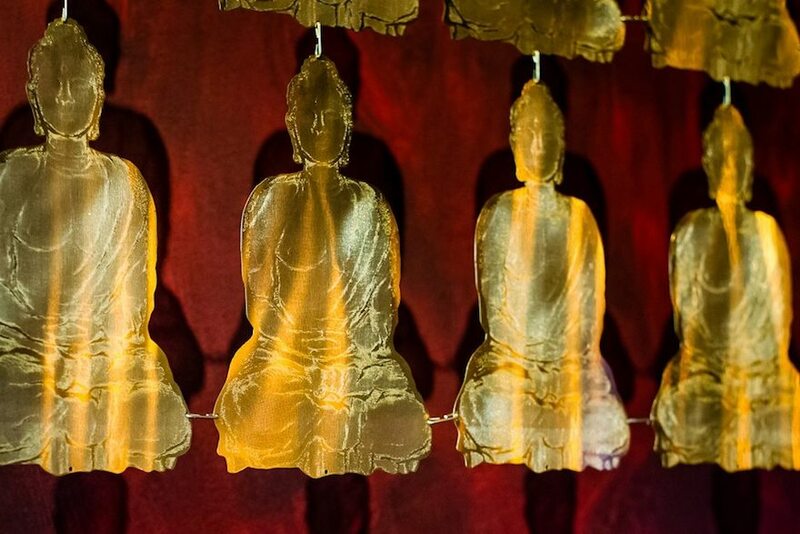 There is a limited edition of the single Buddha sculpture ELEMENT available to purchase ae as a collector's item. 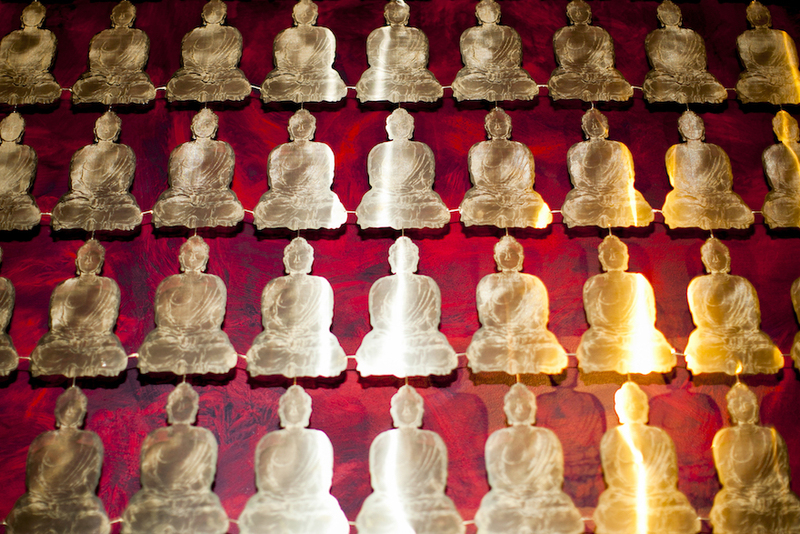 ‘TRANSCEND’ is a magnificent wall curtain comprised of 207 half-transparent brass Buddha elements in tune with the theme of brass fittings, trimmings and finishing detail that is a theme throughout at the Buddha-Bar. 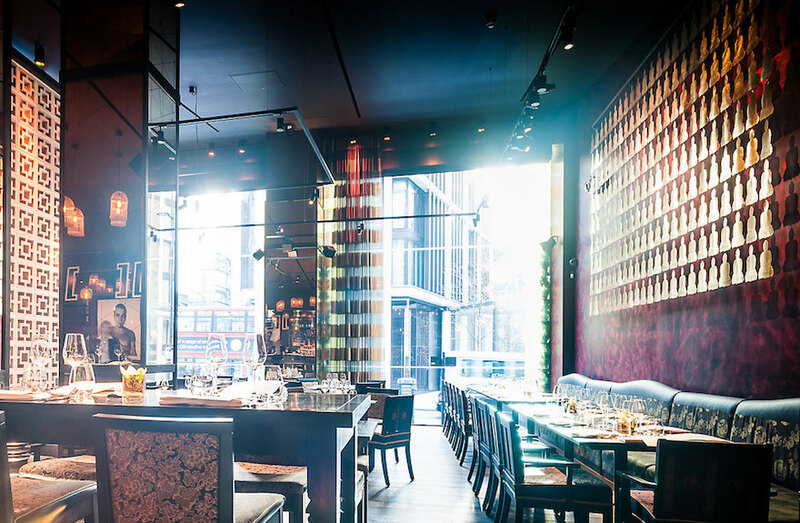 The lighting is designed to create an abstract multi-layered shadow effect. 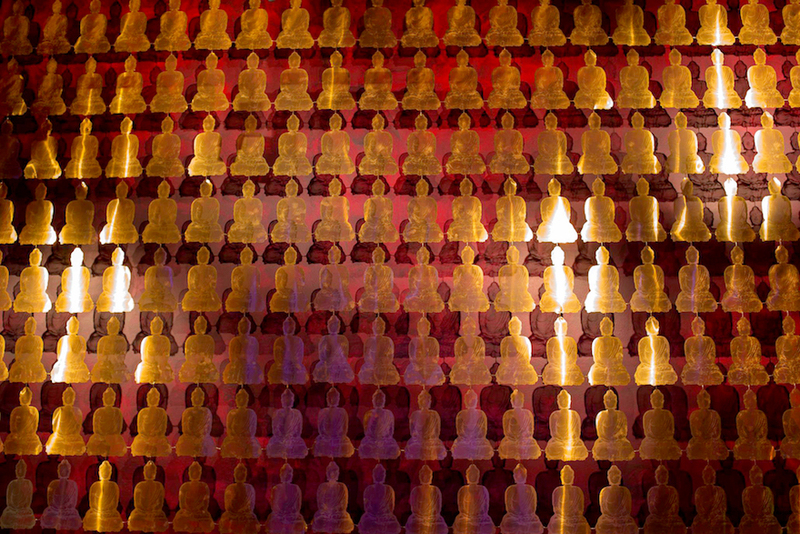 David Begbie’s ‘TRANSCEND’ is designed to be hypnotic, repetitive and obsessive, a quality currently to be experienced in contemporary chill-out music and club music in general. 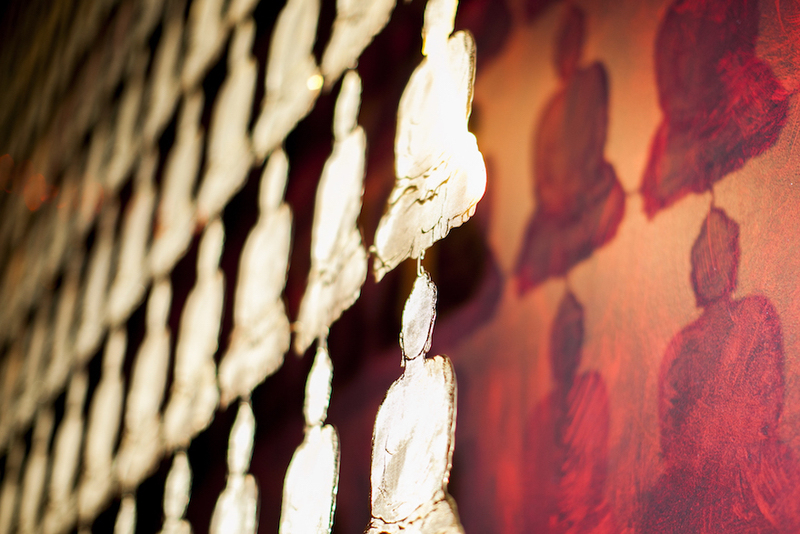 An intriguing harmony of naked skin and drape with a special emphasis on the transcendental nature of the Buddha: a powerful dynamic fusion of the sculpture and its shadow projected onto and into the frosted screen behind the artwork. The projected shadow emerges through the glass screen. 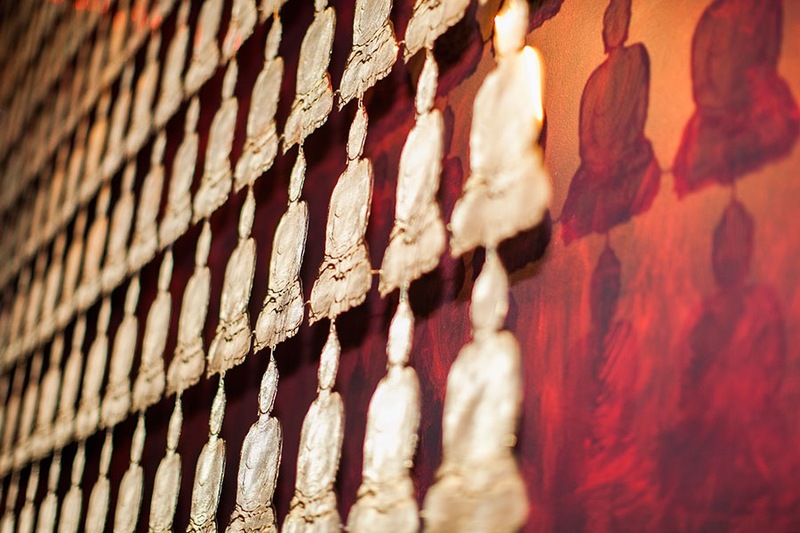 The composition created is encapsulated as a separate artwork in itself and is the first experience of the sculpture as you enter the Buddha-Bar. 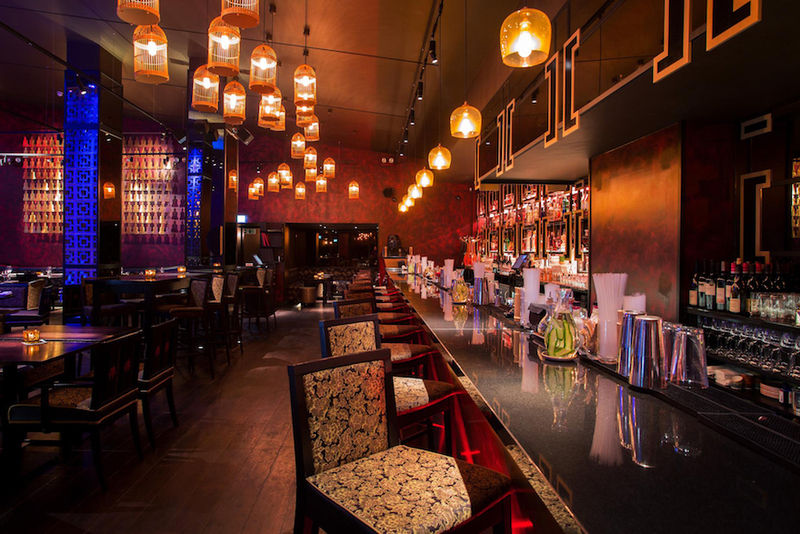 The lighting is designed to create an abstract multi-layered shadow image and to be hypnotic, repetitive and obsessive – a quality currently to be experienced in contemporary chill-out music and club music worldwide.